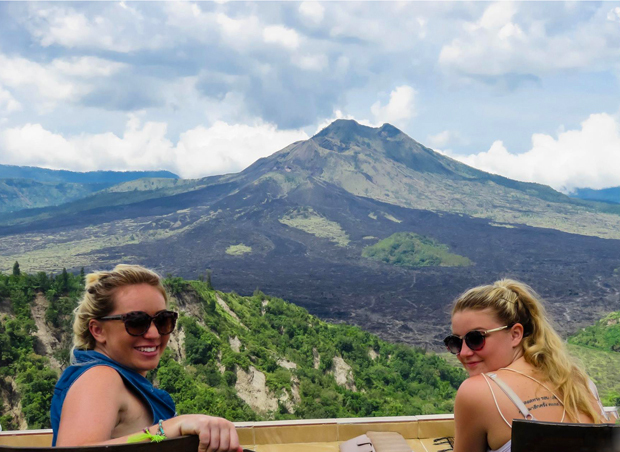 Join us on an awesome adventure across Bali, see amazing sights, explore majestic temples, splash around in waterfalls, visit an active volcano, wander through rice fields, discover idyllic islands and sip cocktails on white sandy beaches. 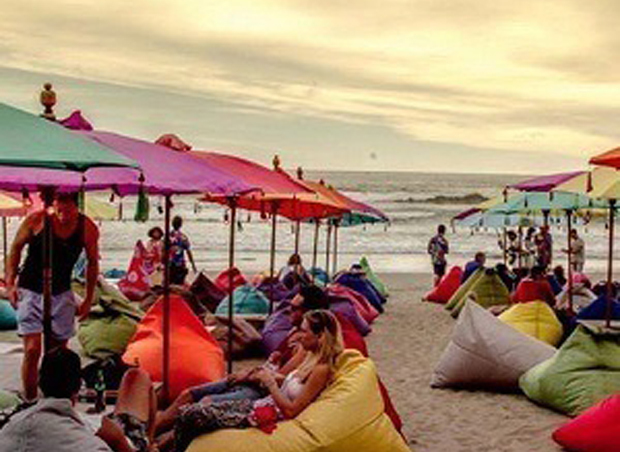 Shop the markets, indulge in delicious food, learn to surf, snorkel in the crystal clear sea & lose yourself in the wild night life Bali has to offer! On our third day we hit the beach! We learn to surf in the morning with our awesome local instructors in Kuta Beach followed by a chilled afternoon on one of Bali’s most beautiful beaches and watching the sunset. 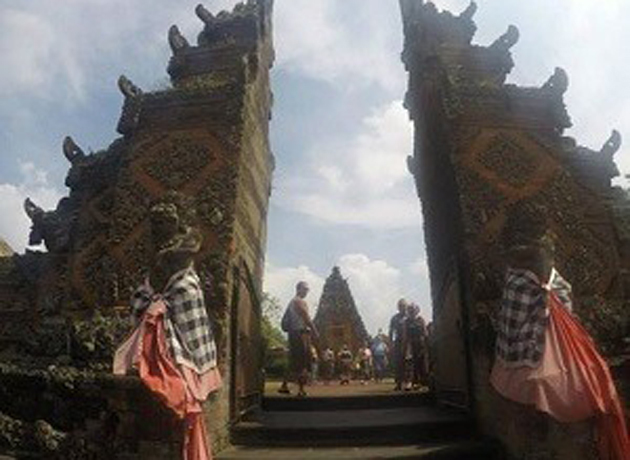 It’s time to head to the beautiful town of Ubud, on our way we cool off with a dip in a stunning natural waterfall. 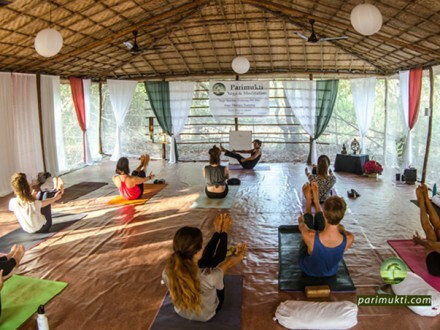 Then we check in to our awesome accommodation before an afternoon spent exploring the countryside and getting some fresh air on the Campuhan ridge walk which has some stunning views over the hills of Ubud. 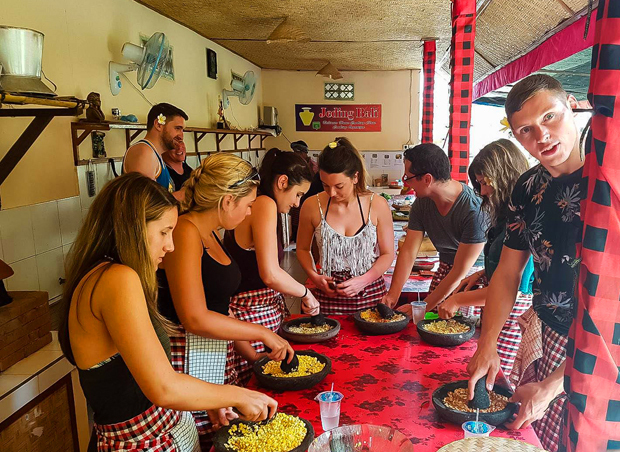 We spend the morning leisurely wandering through the markets of Ubud taking in the colourful sights of the market stalls and picking up a few bargains before enjoying lunch overlooking an active volcano. 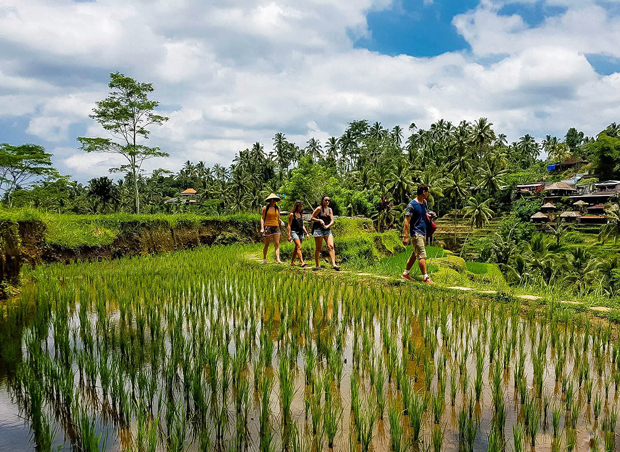 After we spend the afternoon walking around the amazing rice terraces of Ubud to see how these beautiful formations still play a very important role in the locals’ way of life. We spend the morning leisurely strolling through Ubud markets before enjoying lunch overlooking an active volcano. 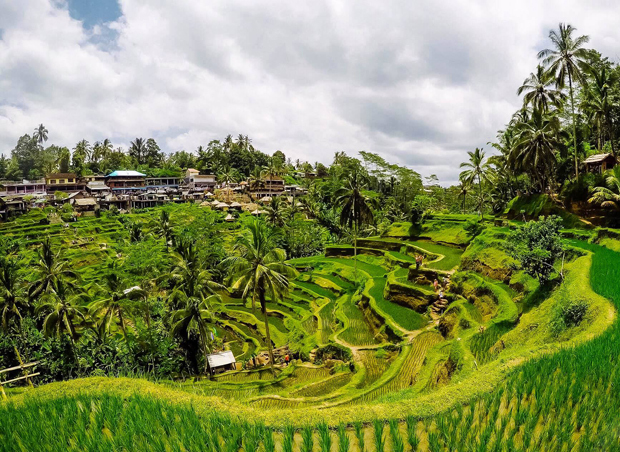 After we spend the afternoon wandering around the amazing rice terraces of Ubud to see how these beautiful formations still play a very important role in the locals way of life. 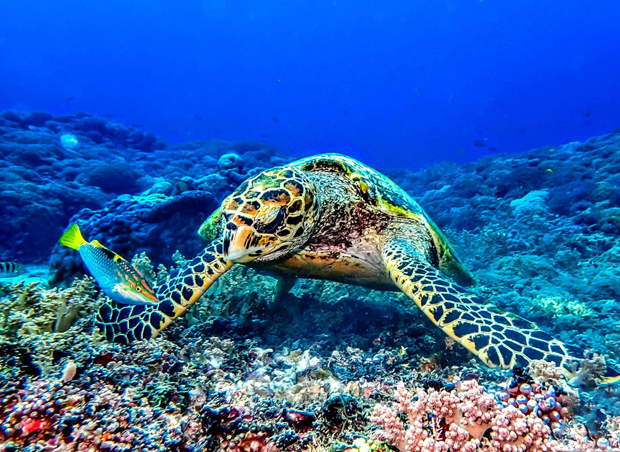 Head to the Gili Islands! 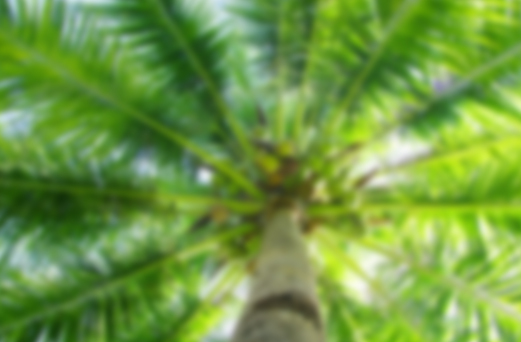 It’s time to head to the islands! We catch the ferry over to the stunning tiny island of Gili Trawangan where it’s a short walk to our accommodation. Once there we spend the afternoon having a beer by the pool. For dinner we explore the local markets for some of the freshest fish you’ll ever eat! 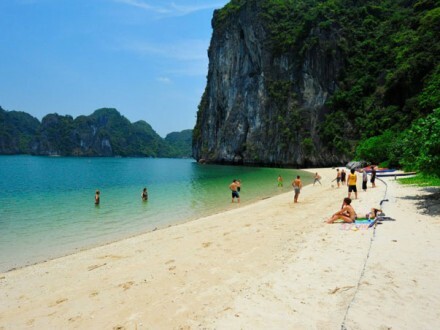 Then its time to party in the many beachside bars on the island! 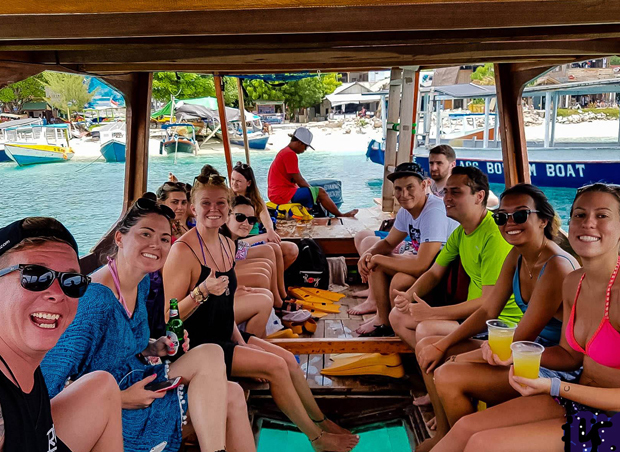 We enjoy the day island hopping on our boat trip around the three Gili Islands, we head to some of the best snorkel spots in Indonesia where you will see stunning coral, beautiful fish, turtles and even a shipwreck. 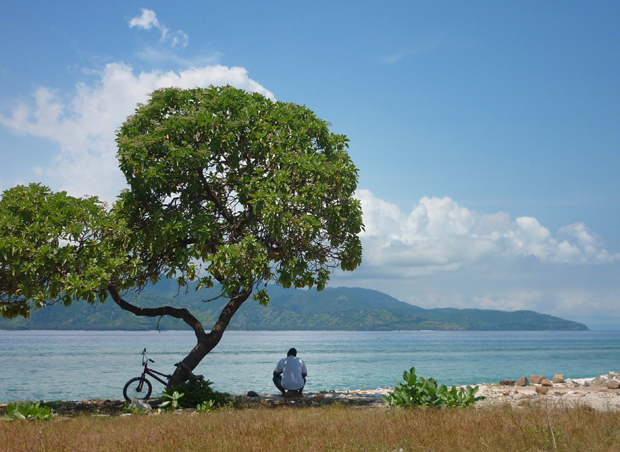 We also enjoy a beach front lunch on Gili Air. Getting on the only mode of transport the island has (push bike) we spend the day cycling around the island checking out some of its coolest spots and watch the sunset before our farewell dinner and party to celebrate the best 10 days of your life! Check out day! The fun doesn’t have to stop here, if you’re traveling on our expert Group Leaders will help you book everything you need to get to where you’re heading, whether that be on to some more islands or back to the airport to catch a flight, we’ve got you covered! What’s Included in This Trip?